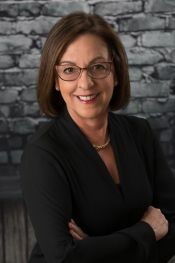 Consistently an award-winning Top Listing and Selling Agent, Amy Grossfeld has sold hundreds of homes in Ridgefield over the course of her 28-year career in Real Estate. It is Amy's view that her job is to provide all-encompassing, caring and professional service so that her clients feel supported and informed throughout the entire process of buying or selling a home. Her success in achieving this is demonstrated by the fact that the majority of her business comes from returning clients and personal referrals. A resident of Ridgefield for 30 years, Amy is married with three children, all of whom went through the Ridgefield schools. Outside of Real Estate, Amy enjoys cooking and baking and her volunteer job in the kitchen at Meals on Wheels.